More than 25 years have passed since the first of the historic Oslo Accords between Israel and the Palestinian Liberation Organization. 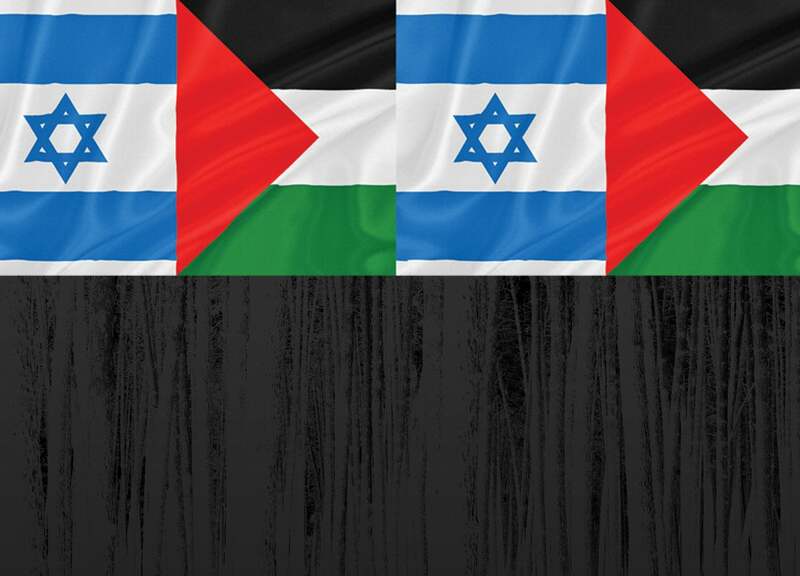 What did the Oslo Accords represent, how has the region changed since then, and how does the peace process relate to our community? To answer those questions, we've convened a panel of academic experts, as well as a pair of everyday St. Louisans – one Israeli and one Palestinian – who were born in the region before emigrating to the United States. Seth Gordon, The Rep's associate artistic director, will moderate. Join us for a fascinating discussion that will add nuance and background to The Rep's Mainstage production of Oslo. This panel is completely free and open to the public, with no tickets or registration required. Layla Azmi Goushey is an Associate Professor of English at St. Louis Community College. Professor Goushey's scholarly work is focused on Arab and Arab-American literature and culture. Her dissertation research examines the teaching philosophies of Palestinian higher education faculty members. Her creative work has been published in journals such as Yellow Medicine Review, Mizna: Journal of Prose, Poetry and Art Exploring Arab America, Natural Bridge, and Sukoon Magazine. She has published articles of literary criticism and currently writes a blog titled Transnational Literacies. She is a long-time peace activist for issues in the Arab region including the Israeli-Palestinian issue. Galia Movitz was born and raised in Jerusalem, Israel. She has lived in St Louis since 1974. Galia completed her Education at the University of Missouri-St. Louis receiving her degree in Mathematics and Education. She taught Mathematics in the public school systems of University City and Pattonville. Galia is an active member of the Jewish community. She has served in many positions including President of Women’s Philanthropy of the Jewish Federation of St. Louis as well as President of Saul Mirowitz Jewish Community School. She has received numerous awards for her communal work. She is married to Milton Movitz and has two children. Talat Nawas was born in a refugee camp near Ramallah City. As a result of the Six Day War, his family was further displaced to Jordan in 1967, where he completed his final year of secondary education. He then traveled to Europe in search of educational opportunities, and ultimately received his medical degree from Spain in 1975. He worked as a physician in the Middle East for 16 years and then immigrated with his family to the US in 1992 to access better medical care for his son, who was diagnosed with leukemia. He currently serves as the medical director of the Hospitalist Medicine program at St. Luke’s Hospital in Chesterfield, MO. He has raised four children with his wife, and is now a grandfather of four. Elai Rettig is an “Israel Institute Teaching Fellow” at the Department of Jewish, Islamic and Near Eastern Languages and Cultures (JINELC) at Washington University in St Louis. He specializes in energy politics, resource conflicts and foreign policy in Israel and the Middle East. Elai is also a research fellow at the Institute for National Security Studies in Israel (INSS) and at the Haifa Research Center for Maritime Policy and Strategy. He writes policy papers on Israel's energy security for leading think-tanks in Israel and Europe, op-eds for Israeli news outlets, and has given testimony before the Israeli Parliament. Before joining Washington University, Elai was a lecturer at New York University – Tel Aviv, and a former visiting scholar at George Washington University in DC. He has received research grants and scholarships from Israel’s Ministry of Energy, Israel’s Ministry of Science, and the Chaikin Chair in Geo-strategy at the University of Haifa.